Visit the Kensington Palace in London! 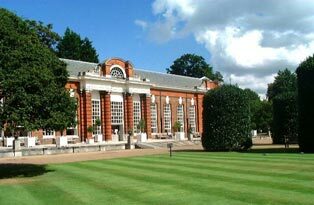 The Kensington Palace is an important building in the history of the British monarchy. The Palace is placed in the Royal Borough of Kensington and Chelsea. Once it was a private ownership, but Wilhelm III arranged to have the castle rebuilt in order to live there. The Kensington Palace was an important meeting point for social and political conventions. After the sudden death of George II in 1760, no governing monarch lived at Kensington Palace, but it still remains residence for the Royal Family. In fact, Lady Diana lived in the Palace until her untimely death in 1997. From the 1st of March 2010, the Kensington Palace is the host of the Enchanted Palace. Visitors can enjoy a unique multisensory exhibition: fashion, great performances and dazzling spectacle, in Kensington’s magnificent State Apartments. Inspiration by the princesses who lived in this magnificent State Apartments Vivienne Westwood, William Tempest, Stephen Jones, Boudicca, Aminaka Wilmont and illustrator/set designer Echo Morgan will create spectacular installations. 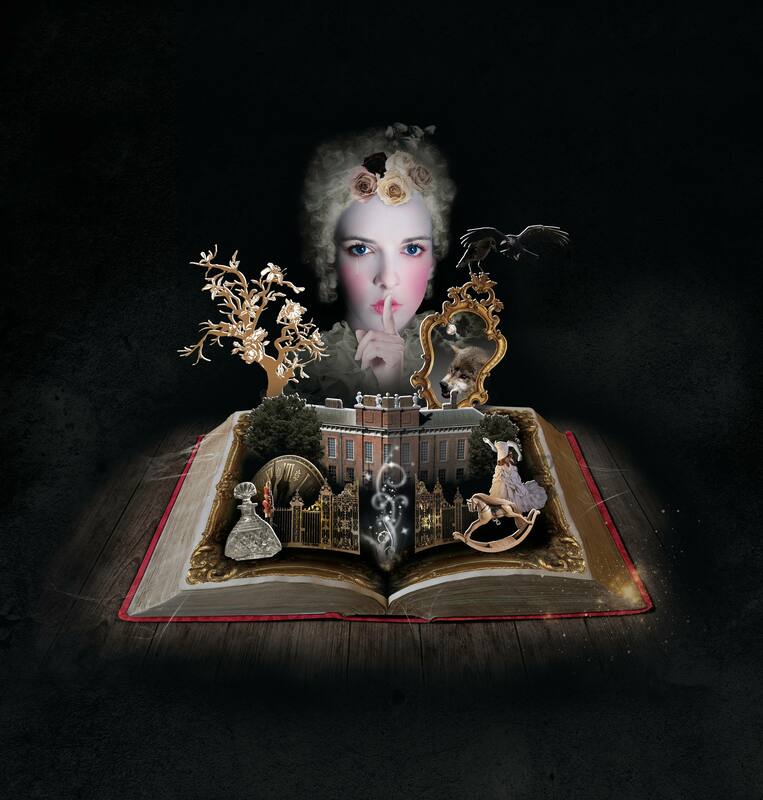 You can explore the mysterious world of the royal court through spectacular installations, interactive theatre, intimate storytelling, soundscapes, haunting film projections. Discover intriguing clues hidden throughout the historic rooms, tales of love, cheating, secrets and jealousy. Queen Mary II'Bedchamber, a luxurious and dark room with a melancholy atmosphere, where Aminaka Wilmont will realize ‘a dress of tears’ based on the ancient tradition of collecting tears during times of mourning. The Privy Chamber, a secret room, where scientists, philosophers and politics used to meet, a place of intrigue, extreme etiquette, flattery and disguises. Milliner Stephen Jones will create an installation with hats inspired by the historic 18th century. The King's Presence Chamber, in this room the monarch used to meet his subjects, received petitions and granted favours. Visitors will have the opportunity to sit on the throne in order to record their own desires. The King's Grand Staircase is famous for its winding chequered stone stairs. Vivienne Westwood will show ‘a dress for a rebellious princess’ inspired by the spirited Princess Charlotte. The Cupola Room was the principal state room of the palace and it is famous for its spectacular clock which inspired Boudicca’s dramatic installation. The King's Gallery is characterized by an elaborate wind-dial connected to a wind-vane on the roof. Through this machinery the King could see which way the wind was blowing, where his navy was likely to be heading. For this reason Wildworks will create an installation reproducing soldiers and boats campaigning on the floor. The Duchess of Kent's Dressing Room and Anteroom will display a number of items of children’s clothing from the Royal Ceremonial Dress Collection. Queen Victoria's bedroom, in this room Victoria found out that her uncle King William IV died and that she was to became queen. Inspired by Victoria’s life changing William Tempest an avant-garde interpretation of a period dress. The King's Drawing Room is a grand reception room in which Echo Morgan will curate a ‘dress of the world’ and a ‘cabinet of curiosities’ inspired by renowned royal collectors Queen Mary III and Caroline of Ansbach. The Council Chamberis dedicated to Diana, Princess of Wales and Princess Margaret, both patrons of British ballet companies. For this reason the theme for this room will be the joy of dancing. The Queen's Gallery where through music and film projections Wildworks will conjure up the effect of a whirling ballroom.